Do you have starry eyes for the moon? Do you have unresolved childhood issues? Do you spend too much time mutually reinforcing beliefs in your favourite echo chambers? Do you blindly trust the recommendations of "experts" or "thought leaders" or "the smartest guys in the room" (who may be smart in some regards and totally not smart in other ways, or actively trying to manipulate you)? Do you have valuable proposals but are unable to articulately communicate your opinion and rationale to others? Do you have insufficient intellect or knowledge to follow the content of technical or higher-level discussions? Do you understand people and their irrational ways? Do you see the bigger picture? Are you keeping your eye on the prize? 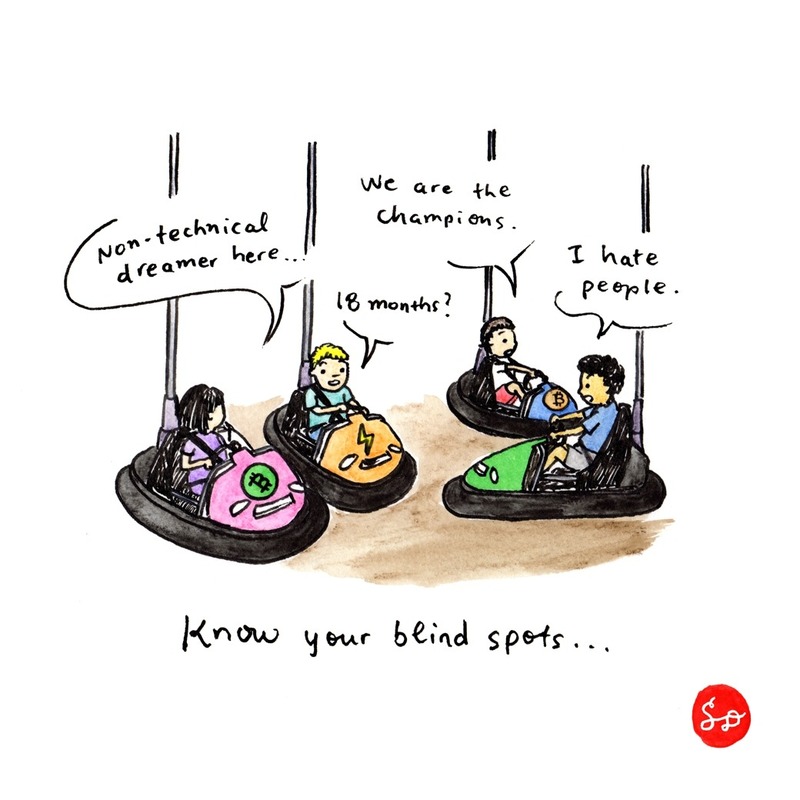 Do you know your own blind spots? Ego? Idealism? Other?? Does this doodle even make any sense? I am trying to examine my own blind spots and dearth of deep and/or historical knowledge with regards to understanding Bitcoin and current events. I might just have to keep listening (hopefully learning), accept a lack of clarity, and chant "the serenity prayer" for the next several months. And, work on the things that are within my own control (*cough* art prints on Open Bazaar or pulling together a doodle book). Side note: This was the soundtrack for today's drawing.